Merchants | Reliance Worldwide Corporation (UK) Ltd.
Reliance products are available from national and independent merchants and distributors across the UK. We offer a comprehensive and innovative product range that competes well in terms of both quality and value. Merchant support is available in various forms, including impactful literature, offers & promotions, on site technical support and first class service, product availability and delivery performance. To find out more about the Reliance merchant programmes, either call us or complete the form below. One of our merchant sales managers will be in touch to discuss your requirements in more detail. 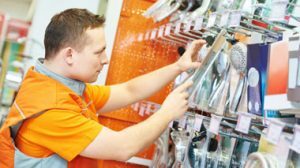 You can browse our product range on this website, download our latest Product Guide in our Resource Centre. You might be surprised to see just how much our product range has developed in recent years. 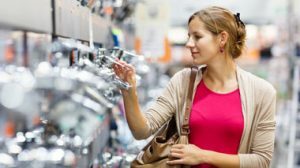 Reliance UK offers a comprehensive range from thermostatic mixing valves to metal push-fit plumbing systems. 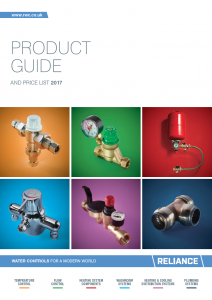 Our newly updated Product Guide is designed to provide you with a quick-reference tool to identify and select the right products, whether it is for your standard stock range or to meet specific project needs for your contractor or installer customers. Our sales advisory service is free to access at any time. Our technical and field sales teams can help you find exactly what you are looking for and assist with product specifications and customer proposals.